I bought an iPad Wi-Fi+3G model for one reason: road trips. My logic was that if I needed to use an internet connection on the road for my laptop, that most times I could get away with using the 3G in the iPad instead. For $30, I’d have unlimited data, and that was cheaper than it would be from most hotels that I frequent, so I was good. At least, that’s what I thought. A month later, AT&T changes its mind and decides to offer different iPad plans, and in the process, cut off the unlimited option. Now it was 2GB of data for $5 cheaper. I was pissed. I was so pissed that I fired off an e-mail to Steve Jobs about it, but I never got a response. I’m still upset that I spent the extra $120 for essentially nothing – nothing I’m going to use now, anyways – but there’s not a whole lot that I can do. A proposed class action lawsuit filed against Apple and AT&T, which accuses the two companies of bait and switch marketing with the iPad 3G,Â has been amended and re-filed to include additional iPad 3G customers, according to aÂ New York Times report dated Thursday. Funny, that’s pretty much exactly how I feel. One of the primary contentions of the lawsuit involves a claim made by AT&T and Apple that iPad 3G customers could easily opt-in and out of an unlimited data connection on the iPad 3G without any sort of penalty. 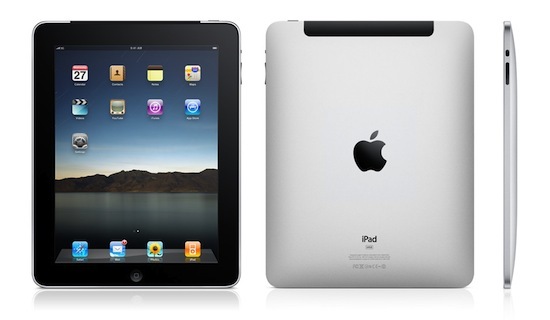 Last month,Â AT&T announced that it would be eliminating the unlimited data plan for new iPad 3G customers. Instead, AT&T would be offering data plans with either 250 MB ($15.00 / month) or 2 GB ($25.00 per month). Although AT&T has agreed to allow current customers to keep the unlimited data plan, users will lose the option to return to the unlimited option if they skip a month of data. I’m not sure if this is going to go anywhere, but I’d definitely consider getting involved. I don’t see this being Apple’s fault at all, but AT&T did straight up pull a switcheroo, and it really set me off. Seriously, when is this switch away from AT&T going to happen? Correct me if I’m, wrong but I thought the iPad in the USA wasn’t locked to a particular carrier. Can’t you just choose a carrier other than AT&T?